It's another new month... and it's time for giveaway again!!!! 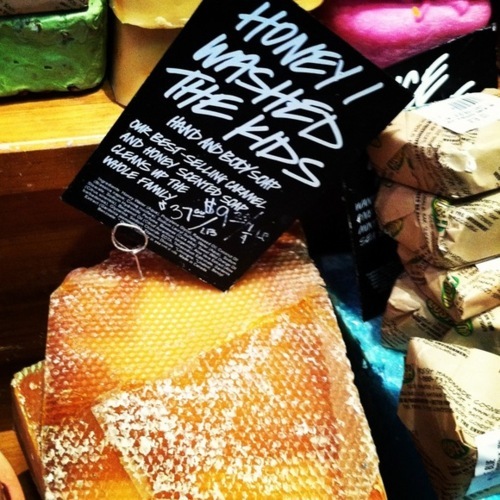 LUSH is a vegan cosmetic brand. All the ingredients they use in making their products are organic and from sustainable resources. They are expert in making bath and shower products. 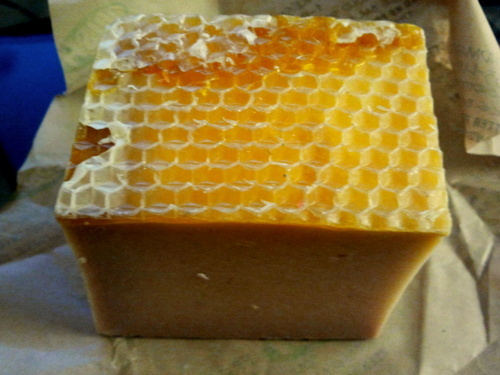 And I've chose to give out the Honey I Washed The Kids Soap is because it is their best seller. This giveaway is opened to all Million Dollar Beauty blog followers. If you haven't follow this blog, just click on "Join this site" on the right bar on this page. Comment on this post, stating the ID you use to follow this blog and also your email. I will randomly draw one name from the comment on the 12th November 2012 (Monday). Winner will be posted on this blog, do check back ya? I have the right to substitute the gift with another soap bar (just in case it is sold out or not available by the time I want to send it out to you. ***This post is wholly sponsored by Million Dollar Beauty blog and not related to LUSH marketing. I've always wanted to try Lush! 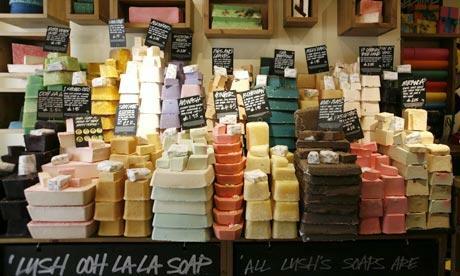 OMG I want Lush has been long time!!!! I want to win the bar of soap! this is a super fun giveaway! I would like to try this out! I've always wanted to try out this product...i really hope to win this! First time joining this site and also this type of giveaway. Hopefully I have the beginners luck! *Finger Crossed. Honey I Washed the Kids is my favorite soap! just wondering if ever i have the chance to use this product..
More power to your blog!..